Education - Hensiak Inspection Services, Inc. The images above show how even a well cared for home may have serious problems, such as windows damaged from rain, and could cost you a lot of money to repair or replace. 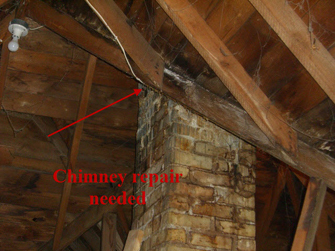 Damaged Chimneys are often found during an inspection. The freeze thaw cycle in Wisconsin is the main reason. 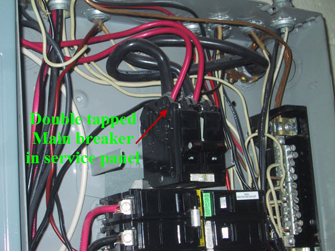 Properly repairing can be very expensive. Just patching only postpones the inevitable. 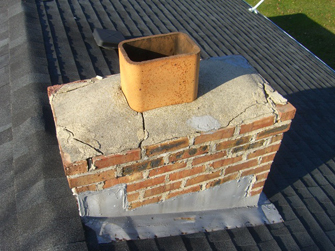 In this case we asked for an evaluation and repair quote from a professional chimney specialist. 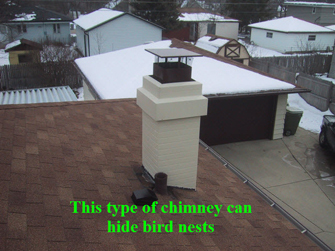 Debris in the chimney is a safety concern. Removing bird nests can get expensive. Though we cannot dismantle the chimney we try to look inside if possible. We will alert you to the potential concerns so during your Regular Maintenance Routine you will know what to watch for. I call it "home owner plumbing". This is a safety concern. 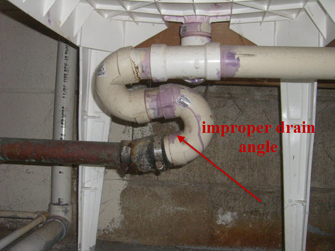 Sewer gas can get into your home. Doing your own home improvements is wonderful but they must be done correctly. This is a safety concern and a potential fire hazard. This home owner had no idea this was present. A Qualified Electrician was asked to repair this before closing. This was found in the attic. From the outside it looked like just the flashing needed attention. Upon further evaluation we found that not only the chimney needed repair but also the roof decking.